Join us for a FREE screening of Peaceable Kingdom: The Journey Home. A riveting story of transformation and healing, PEACEABLE KINGDOM: THE JOURNEY HOME explores the awakening conscience of several people who grew up in traditional farming culture and who have now come to question the basic assumptions of their way of life. Presented through a woven tapestry of memories, music, and breathtaking accounts of life-altering moments, the film provides insight into the farmers’ sometimes amazing connections with the animals under their care, while also making clear the complex web of social, psychological and economic forces that have led them to their present dilemma. 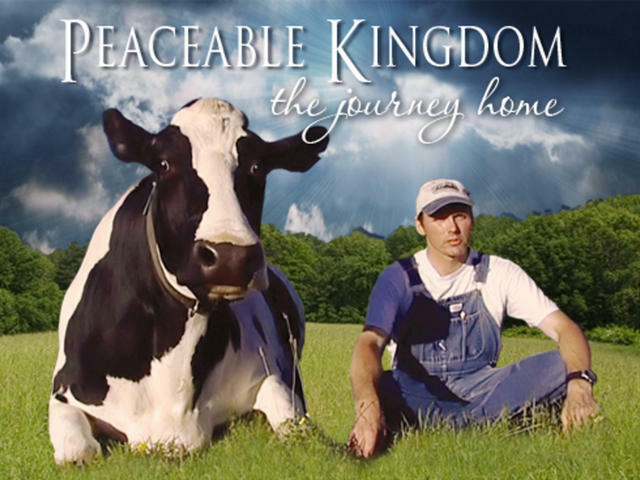 Preview for Peaceable Kingdom: The Journey Home from Tribe of Heart on Vimeo.